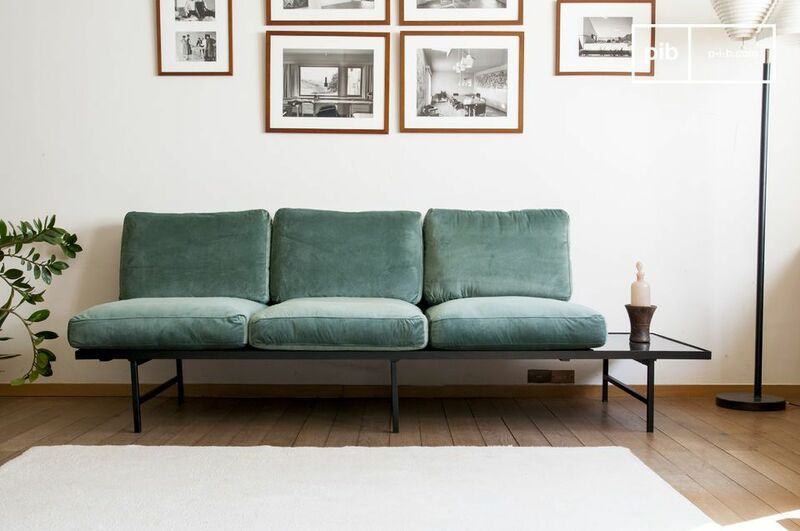 From the Carthy velvet sofa with siderest, emanates an elegance that is both subtle and original. 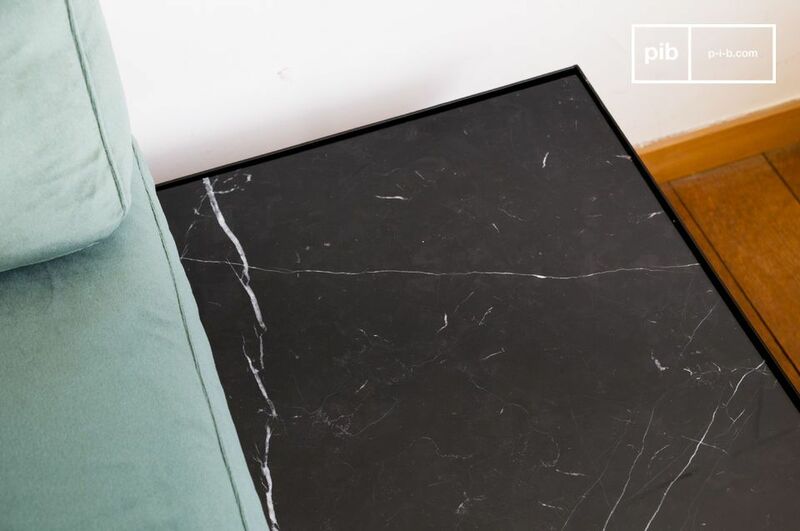 Combining a black ribbed marble top with 6 thin metal legs, it represents the Scandinavian vintage spirit of any living room furniture. 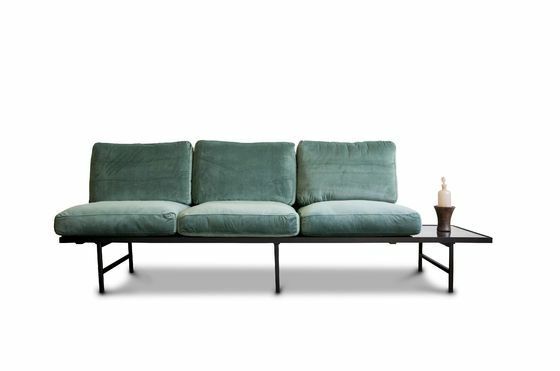 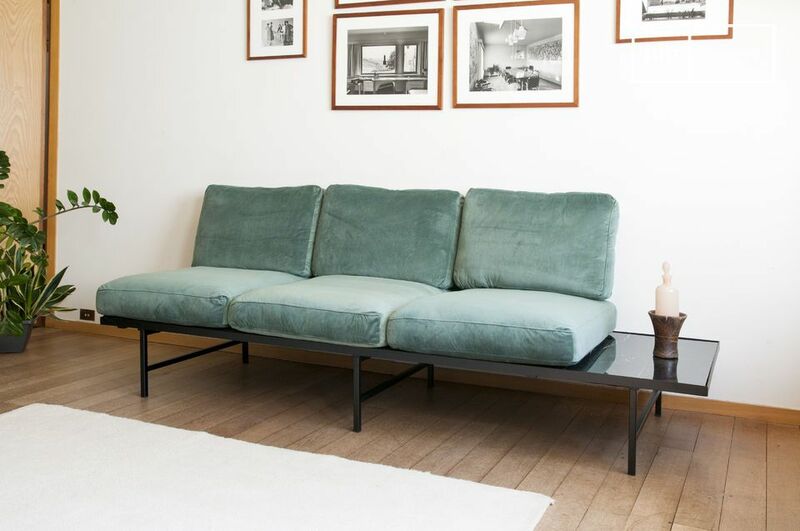 The Carthy sofa has a deep and comfortable seat, thanks to its green velvet cushions and plays on the contrast of materials to seduce. 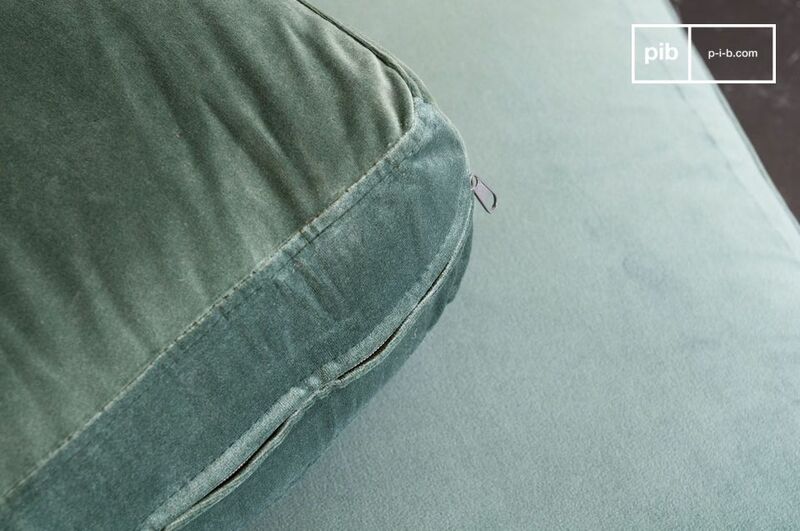 Soft to the touch, its cushions are completely removable for easy maintenance. 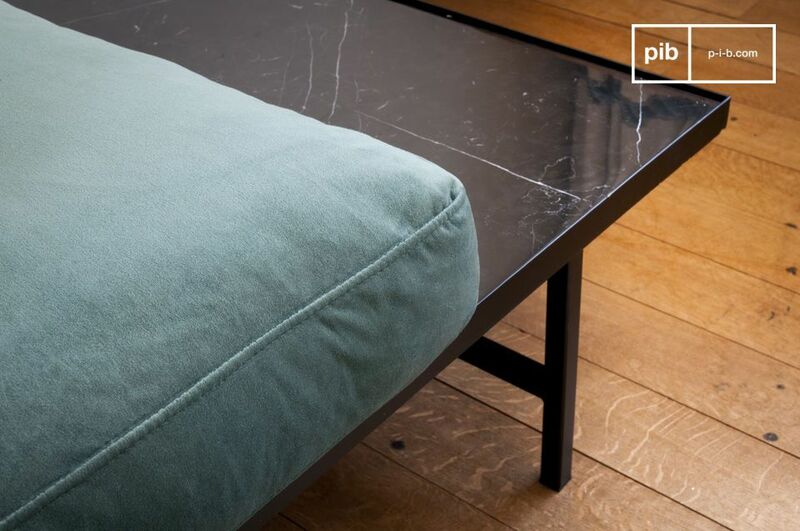 The marble table protruding on the side, you will be able to take advantage of this additional space to install the object of decoration of your choice and to put a glass there when the hour of the aperitif rings.